A Eurasian species, widely cultivated for its “seeds,” used for flavoring in rye bread and many other products. Locally established along roadsides and in fields, clearings, farmyards, shores, and disturbed places. First collected in 1883 in Keweenaw Co. 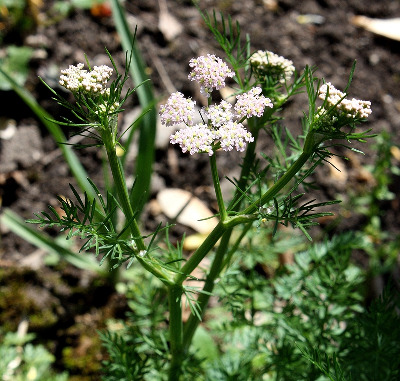 Sometimes confused with Daucus carota, but blooms much earlier in the summer and lacks the conspicuous bracts at the base of the umbel. In addition, the leaves have sessile primary leaflets, while in Daucus, the primary leaflets are petiolulate. The rays of the umbel are quite unequal in length and are ± strongly ascending in fruit. MICHIGAN FLORA ONLINE. A. A. Reznicek, E. G. Voss, & B. S. Walters. February 2011. University of Michigan. Web. 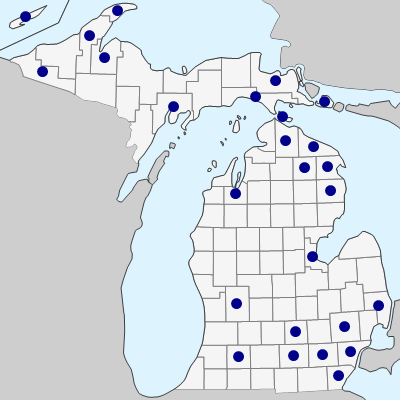 April 26, 2019. https://michiganflora.net/species.aspx?id=111.